Edwardsville – Page 22 – Welcome to Wyandotte Daily! At its Feb. 8 meeting, the Edwardsville City Council approved a contract agreement with Deffenbaugh Industries for solid waste residential disposal services. Included in this agreement is the provision of a curbside recycling service to residential customers, according to Edwardsville city officials. New carts will also be delivered as part of this agreement, which positions the city to take another step toward community sustainability, landfill diversion, and environmental stewardship, Edwardsville officials said. Except for a pilot program, it is the first time Edwardsville is offering curbside recycling. Throughout the week of March 21-25, residential customers will receive new 96-gallon carts to replace their existing carts in addition to a 65-gallon cart for recyclable materials. Plastic bottles, food-beverage cans, paper, cardboard, and food-beverage cartons are acceptable recycling materials. Plastic bags, film, foam containers, and needles will not be permitted. Beginning in the April billing cycle, charges for solid waste collection services will be $14.95 per month for each residential unit. Edwardsville residents are charged on a quarterly basis for solid waste services. This service will not include addresses located in the mobile home community, as that group has existing solid waste service terms still in effect. Deffenbaugh staff recommends that residents repurpose any personal carts or tubs they have been using for trash. Residents may label their old carts “Recycling” and place them out with their new recycling cart if they have additional recyclables. Recycling service is unlimited, so no extra charges would apply. Residents can also choose to dispose of old containers and can do so by labeling them “Throw away” and placing them out with their trash. Any additional questions or concerns regarding the new service can be directed to Deffenbaugh at the number 913-631-3300 or the Edwardsville city clerk at 913-441-3707. Lasagna with Italian bread; corn dog, garden salad, cheesy cauliflower popcorn, fruit, peaches; Italian chef salad, cheesy cauliflower popcorn, fruit, peaches, Italian bread. Chicken strips; barbecued beef on bun, garden salad, cowboy beans, fruit, applesauce; taco salad, cowboy beans, fruit, applesauce, cornbread. Chicken patty; meatloaf, mashed potatoes with gravy, corn, fruit, pears, roll; chicken Caesar salad, corn, fruit, pears, roll. Smothered burrito; turkey and cheddar melt, French fries, garden salad, fruit, strawberry banana mix; Cobb salad, fruit, strawberry banana mix, fruit streusel muffin. Lasagna with Italian bread; chicken nuggets with Italian bread, garden salad, cheesy cauliflower popcorn, fruit, peaches; Italian chef salad, cheesy cauliflower popcorn, fruit, peaches, Italian bread. Chicken strips; soft tacos, garden salad, cowboy beans, fruit, applesauce; taco salad, cowboy beans, fruit, applesauce, cornbread. Chicken patty; baked ham, mashed potatoes with gravy, corn, fruit, pears, roll; chicken Caesar salad, corn, fruit, pears, roll. Smothered burrito, grilled cheese with tomato soup, French fries, garden salad, fruit, strawberry banana mix; Cobb salad, fruit, strawberry banana mix, fruit streusel muffin. Smothered burrito; turkey and cheddar melt, French fries, green beans, fruit, tropical fruit. All menus from all schools subject to change. Construction kicked off for the Kansas Avenue road improvement project on the morning of March 1, according to Edwardsville officials. Currently, road closures are in place for through traffic on Kansas Avenue from the I-435 south bound ramp going west to 98th Street. Traffic going north and south along 98th Street will remain uninterrupted at this time, according to Edwardsville officials. Additionally, Kansas Avenue 400 feet west of the 98th Street intersection has also been closed. Detour routes are labeled. This work represents the first phase of construction. 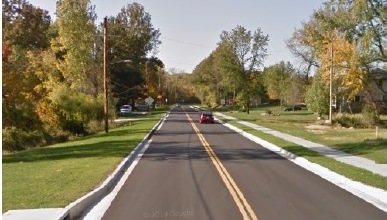 Kansas Avenue has dealt with a number of complications involving drainage, visibility, and width. The road project will address these issues. The project is primarily funded by grant money awarded by the Mid-America Regional Council through the 2015-2016 Surface Transportation-Highway Bridge Program. The road improvements will be similar to the work done to Edwardsville Drive in 2012, according to a spokesman. The project will improve approximately one mile of road and three large culverts will be replaced or extended. The roadway will be curbed and guttered in addition to being widened to 32 feet from curb to curb. The intersection of 98th Street and Kansas Avenue will be reconstructed. Affected driveway approaches will be replaced and new sidewalks will be installed on the south side of the road. Sight distances will also be improved throughout the project. The total length of the project is expected to last throughout 2016. Copies of the preliminary road design are available at Edwardsville city hall offices upon request. Ongoing updates will be provided on the city’s website (www.edwardsvilleks.org) and Facebook account (www.facebook.com/EdwardsvilleKS).